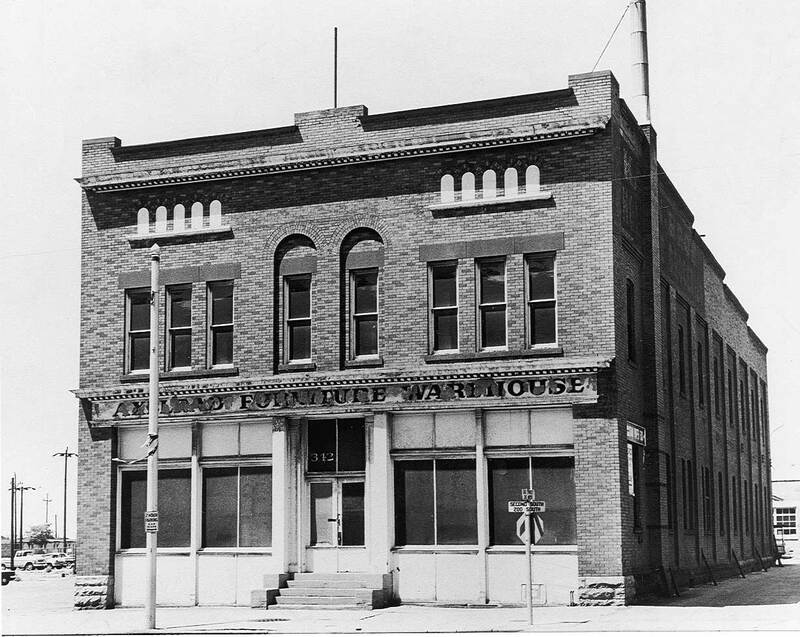 In August 1938, Deseret Industries opened the door to our very first store. The building was originally an old post office and was located in Salt Lake City at 342 West 200 South. The first Deseret Industries store, 1938. Deseret Industries was established under the direction of Heber J. Grant, the President of The Church of Latter-day Saints at the time, and Harold B. Lee, the managing director of the Church’s welfare program. Stewart Eccles, a businessman and the first manager of Deseret Industries, also provided crucial input as the Church established Deseret Industries. Stewart Eccles working with truck drivers at the Sugarhouse Deseret Industries, 1941. 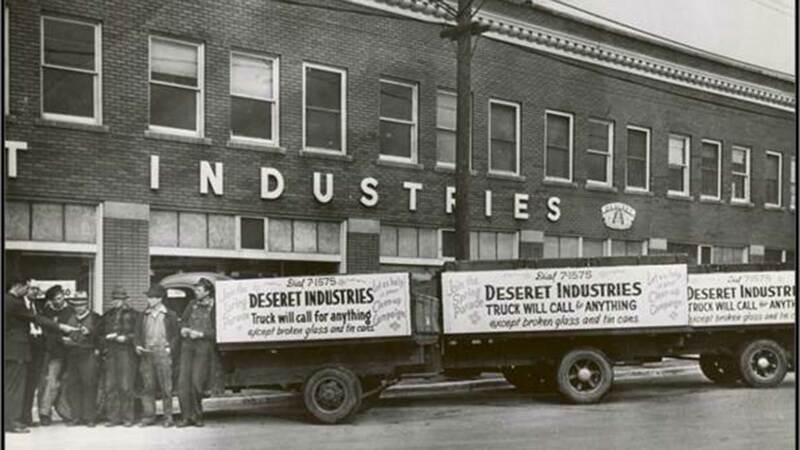 Deseret Industries was established on the heels of the Great Depression to help people who were suffering from high unemployment and economic challenges. 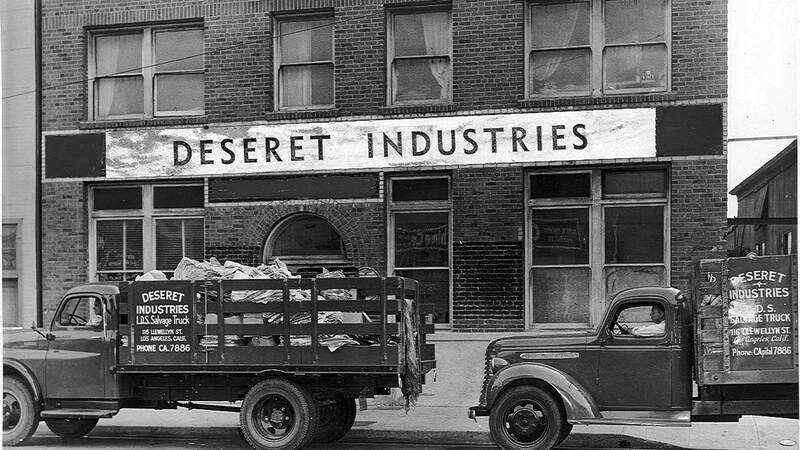 The purpose of Deseret Industries at that time was much the same as it is now: to employ and train people struggling with employment and to provide low-cost goods. A Deseret News article from August 13, 1938, reads, “Deseret Industries is a[n] . . . enterprise designed primarily to ‘help others help themselves,’ and can use any article which in its present condition, or when repaired, renovated, redecorated, or remade will be of value to another person and will provide a means of employment and support to many people” (“New Church Salvage Unit Is Launched,” Deseret News, Aug. 13, 1938). From the very beginning, workers were urged to improve their skills so they could move into regular commercial employment and become self-sustaining. This would make room for others to develop skills. As Deseret Industries has evolved over the years, the training opportunities have expanded, and associates can now receive training in many fields including security, medical, dental assisting, education, management, manufacturing, production, skilled trades, and more. The first Deseret Industries in Salt Lake City was soon followed by a location in Los Angeles, California, as well as other stores in Utah including Sugarhouse, Murray, Midvale, Tooele, Ogden, Logan, and Provo. Over the years, Deseret Industries has continued to expand. There are now 43 retail stores across seven states—Utah, California, Arizona, Idaho, Washington, Nevada, and Oregon. The first Deseret Industries in Los Angeles, California, 1939. In the early years, Deseret Industries started making rugs and woolen blankets from donated wool sweaters. We even had a rug factory and a sewing department. We also reupholstered and refurbished donated furniture and repaired shoes and other items to sell. Since then, we have transitioned from repurposing items to making new items to sell. At Deseret Manufacturing we produce new furniture and sleep products, which are sold in Deseret Industries stores. Deseret Manufacturing also provides a venue for associates to be trained in production and manufacturing. Although we no longer make rugs and blankets or do reupholstering, giving things a new life is a principle we value. We love seeing the many shoppers who upcycle and give new life to secondhand items purchased at our stores. Top: Deseret Industries sewing department, 1939. 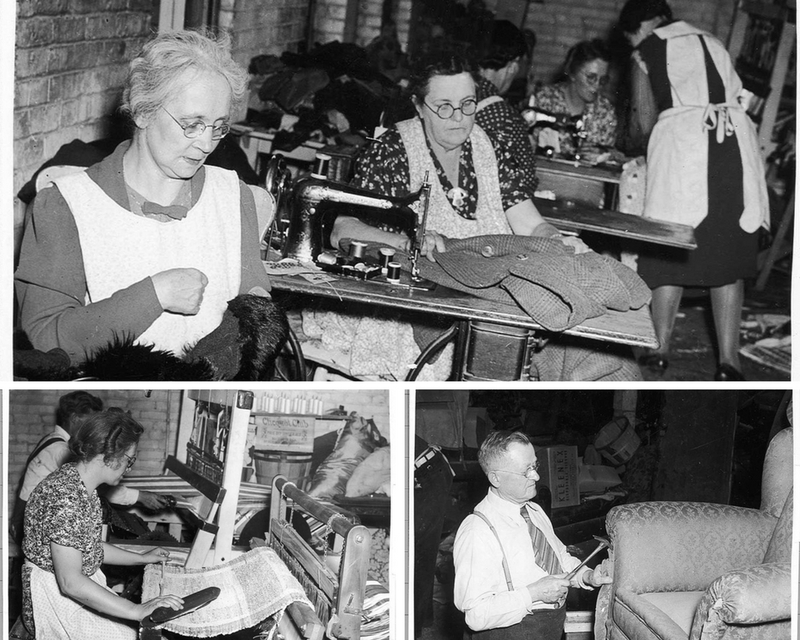 Right: Employees making rugs, 1939. Left: Reupholstering furniture to sell, 1939. During its first week of operation, Deseret Industries received 179 calls from people wanting to know where and when to donate. From that point forward, shoppers and donors have been an important part of Deseret Industries. Purchases and donations make it possible for us provide job training and help people change their lives. We couldn’t do it without you! This year marks our 80th anniversary. Join in on our celebration.